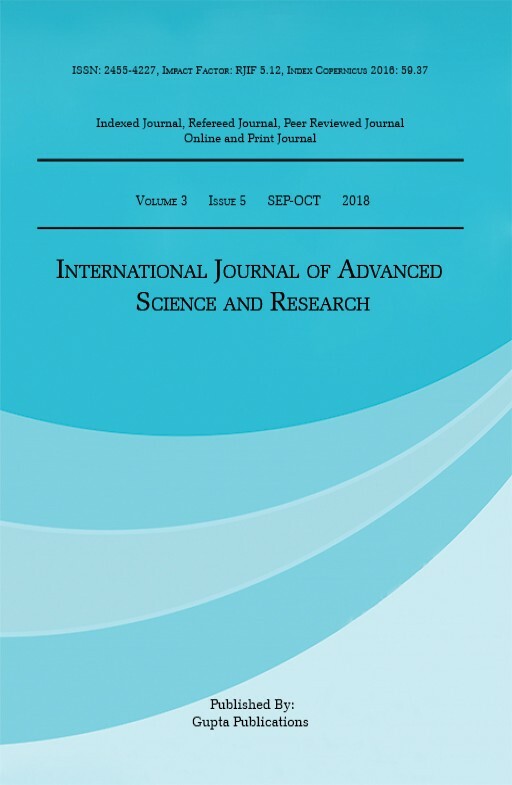 International Journal of Advanced Science and Research is indexed, refereed, peer reviewed and open access journal is designed to publish research articles in Engineering & Technology, Computing, Engineering, Information Technology and Medical Sciences. We broadly cover research work on next generation cutting edge technologies and effective marketing strategies. Writing a research paper is a skill and International Journal of Advanced Science and Research (IJASR) have the team of scientists and academicians who are dedicated to help learn and improve that skill by providing a guidance for writing high quality research papers. in depth evaluation of each research paper is a prime focus of every member of International Journal of Advanced Science and Research (IJASR) Reviewer Panel that ensures the novelty in each research manuscript being published.